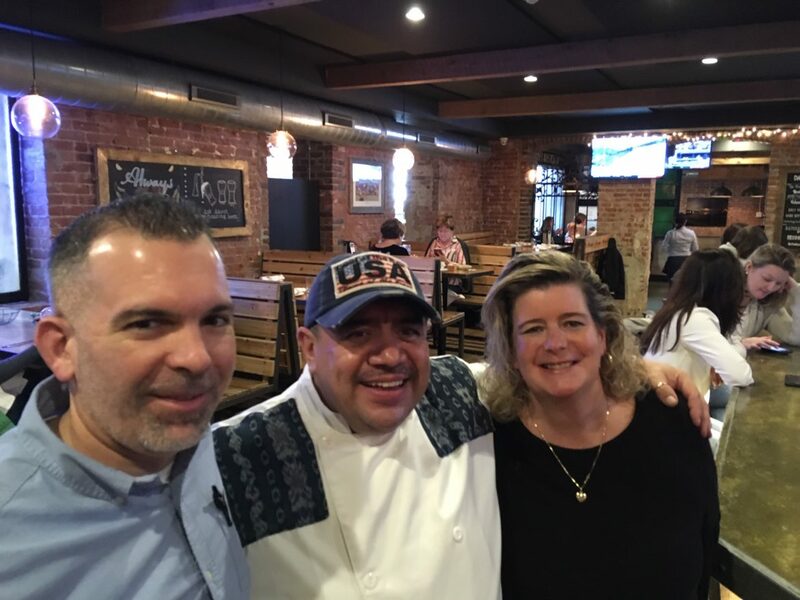 A favorite chef among local diners, Luis Lopez, on Monday returned to New Canaan to start his new job running the kitchen at Gates. It’s been nearly four years since Gates was sold to new owners, and about three since it re-opened. The group is “excited to have Luis join the Gates family,” Luther added. “Together, the management team is planning to do a complete menu revamp in mid-February,” Luther said. This is such great news. His culinary talents, warmth and sense of community have been missed. Luis is family. As a member of the first generation of Gates customers I’m especially appreciative of all of the hard work that has gone into the restaurant in recent months. You can sense the changes and the results show the renewal is well underway. That Gates vibe is back !! Welcome home Luis! Not just a wonderful cook and business owner, but also a good man. Our daughter felt like she was part of a family at Chef Luis for the short time she worked there, and it all started with the chef. We are lucky to have you back in New Canaan, Chef. Best to you and Gates! Excited that Chef Luis is coming home. We missed him and his great food. Great to see that Chef has expanded the lunch menu at Gates! A lot of his signature items are now on the menu.